Konkola Copper Mines will this week place its Nchanga Underground Mine on care and maintenance, according to the Post newspaper. Last week, President Edgar relocated State House to Kitwe at huge expense claiming that he wanted to resolve job losses and other calamities currently battering the mining region. According to a shutdown a management notice being circulated to stakeholders, including the mine unions, 2,503 contract employees will be laid off immediately. This comes barely a week after President Edgar Lungu visited the mine and claimed that he had intervened in the ongoing retrenchments of miners, which has already resulted in thousands losing jobs. The shutdown notice dated November 4, explained that the company proposed to close Nchanga Underground Mine in order to stop unsustainable losses. “KCM is facing a serious challenge with the profitability of its business. The company is proposing to close the Nchanga Underground Mine in order to stop unsustainable losses from the mine. This would result in 1,678 contractors currently working at NUG (Nchanga Underground) being released immediately and a further 825 contractors being released elsewhere in the business over the next three months. No employees of KCM would be made redundant,” read the notice in part. The company further states that supplementary power required to run KCM has increased from 7.4 US cents to 15.2 US cents, with the higher price power billed first, and that although the tonnes of ore hoisted from the mine has decreased by 30 per cent from the 1990s to 2014, the number of people employed underground had remained almost constant at around 3,000. 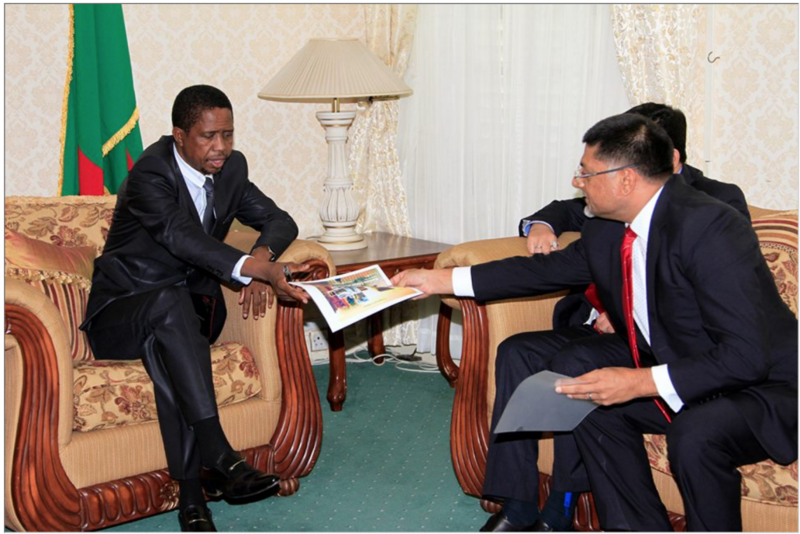 However, mine union sources have described the move by KCM as a slap in President Lungu’s face who said his Copperbelt trip was 80 per cent successful. “He has failed to do anything because a serious Head of State would have known that KCM wants to remain with the smelter so that they buy ore and process it the following day and sell. He should have known all that, the unions gave him this data but he opted to insult them ‘pa’ rally for protecting miners; he called them ‘ukutumpa’. So they are showing him that actually, the eight out of 10 marks he gave himself is a false marking, it’s zero out of 10 because miners have continued to go on the streets in large numbers,” said the source. KCM public relations manager Shapi Shacinda’s phone went unanswered when several efforts were made to contact him while MUZ secretary general Joseph Chewe expressed ignorance about the notice and promised to follow up the matter when his office was made aware.